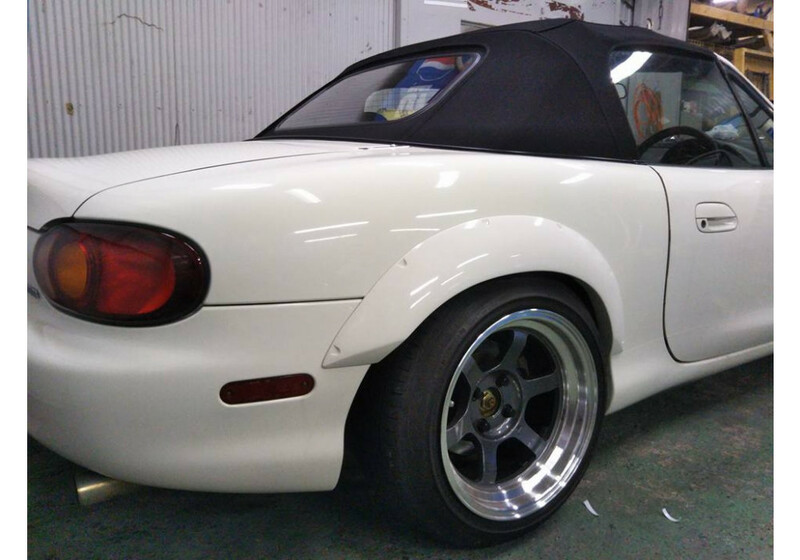 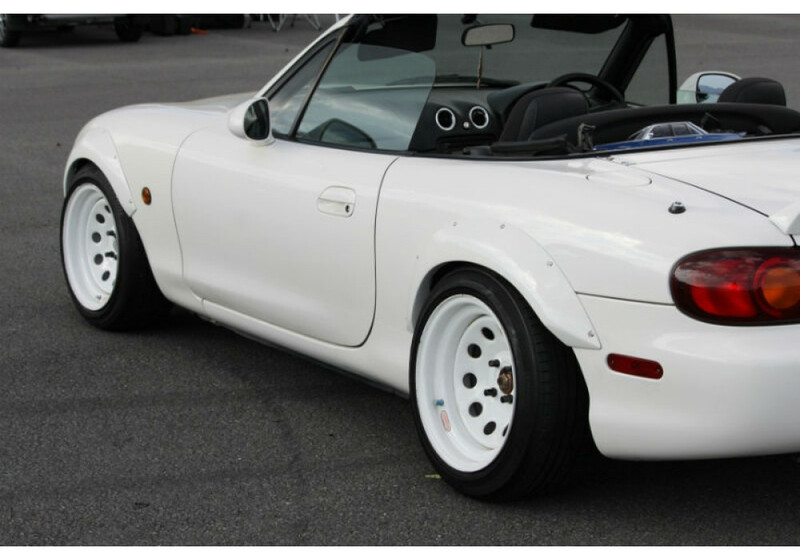 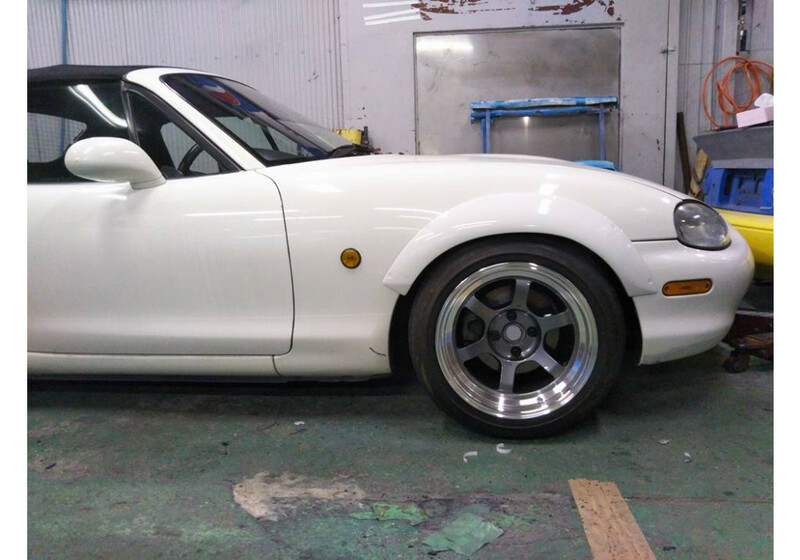 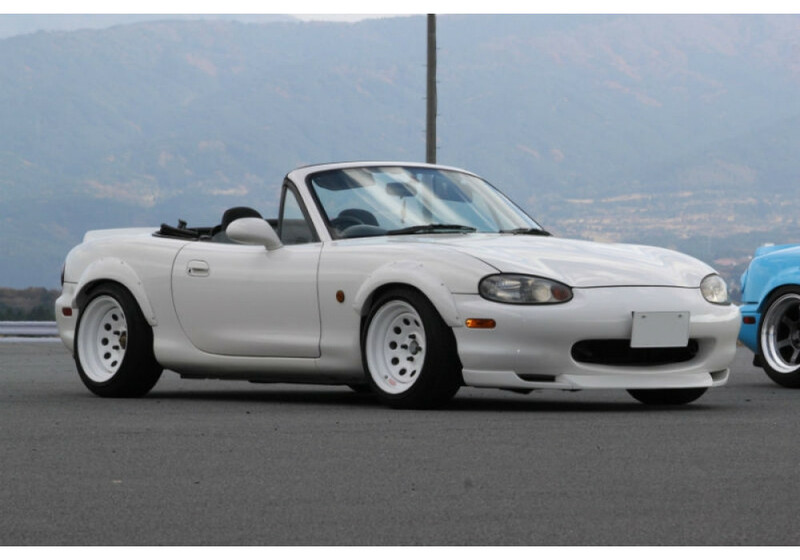 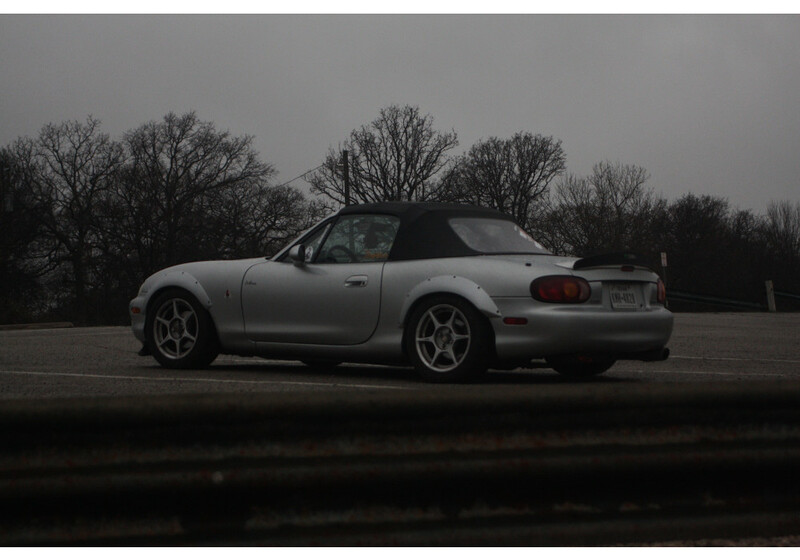 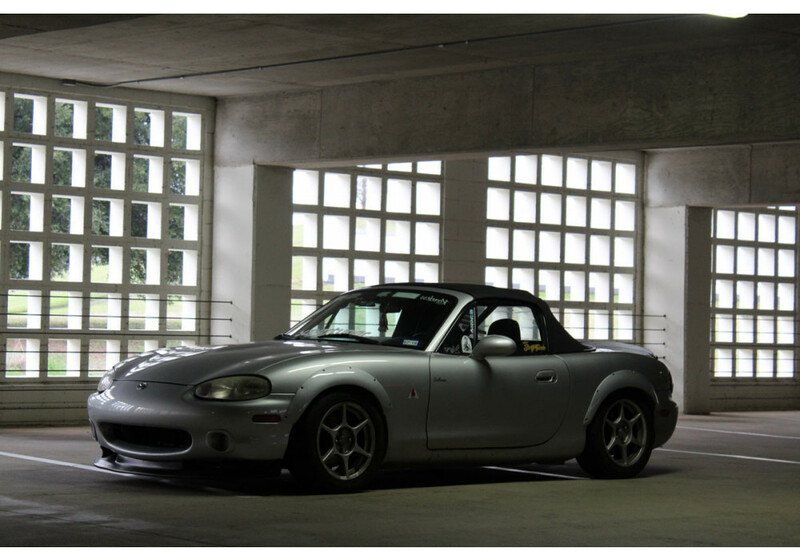 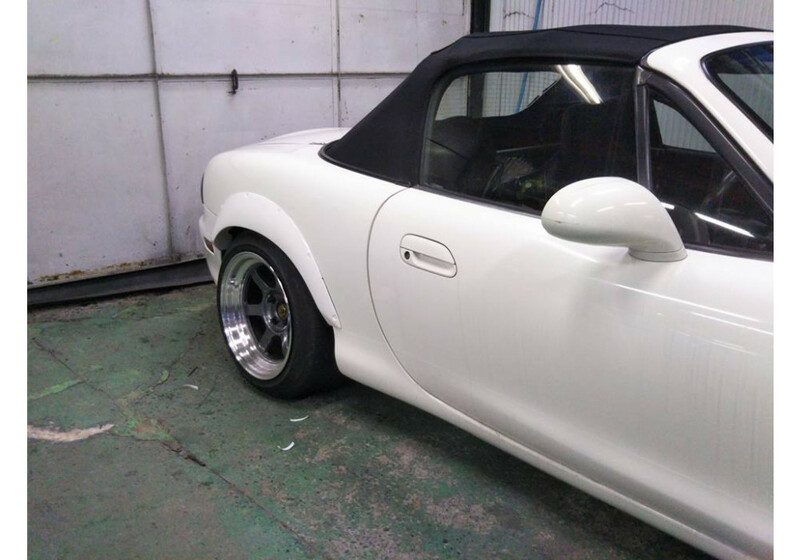 Fender flares (overfenders) made by Jet Stream for the NB1 (1998-2000) MX-5 Miata. 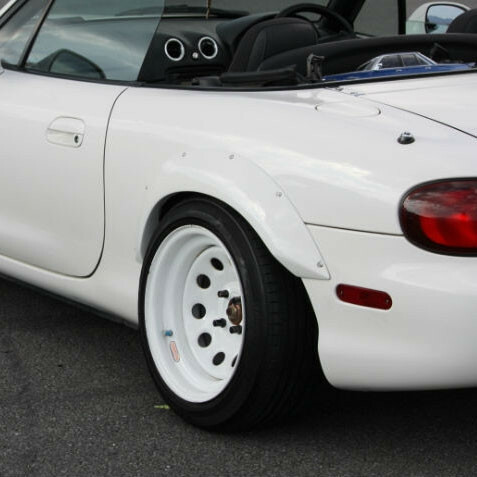 Those will make the vehicle 20mm wider per side and do not require cutting into the fenders for installation (although it can be done). 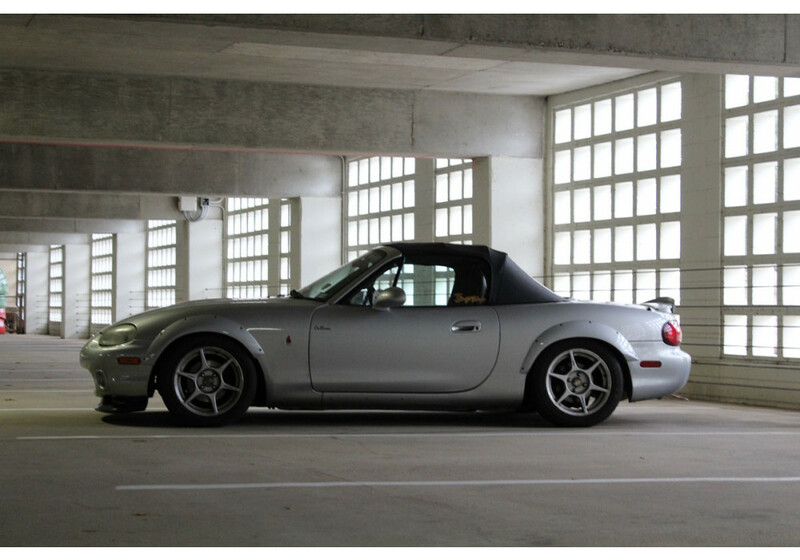 Jet Stream Clubman Over Fenders should be ordered at REV9 Autosport https://rev9autosport.com/jet-stream-clubman-over-fenders.html as they provide the best service and speed we've seen so far!